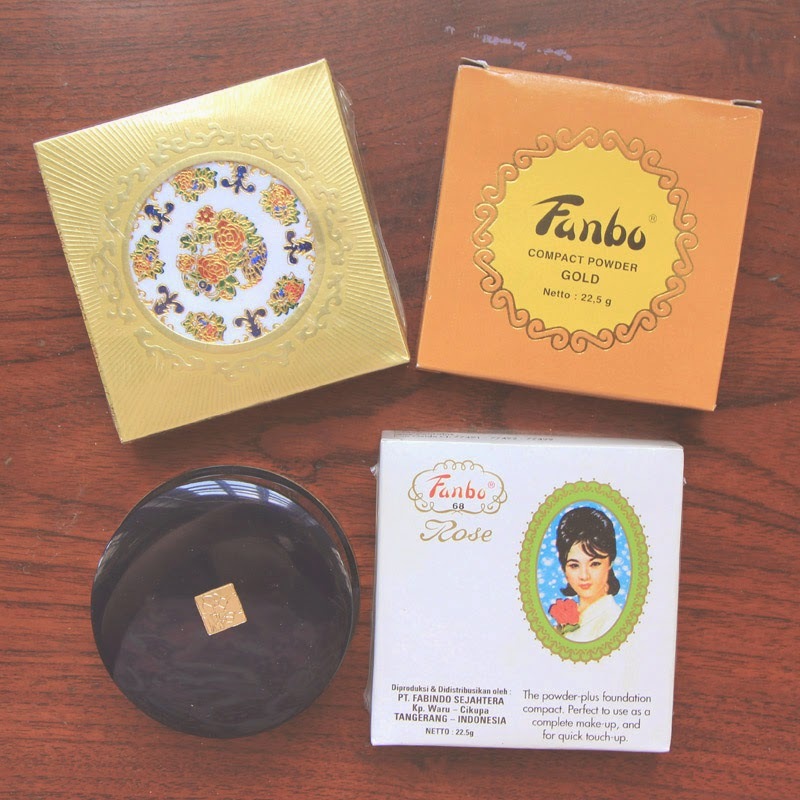 VANI SAGITA: INDONESIAN BEAUTY BLOGGER: July Collective Haul! And yet another end of the month we're heading. I haven't post a haul since the last time I bought so many toilettries that I haven't even finish up until now. These products I'm showing were collected since May, I guess? I bought one or two and wait for it to pile up a bit so I can put it all up in one single post. Because where's the fun in seeing haul with only a few products featured, right? 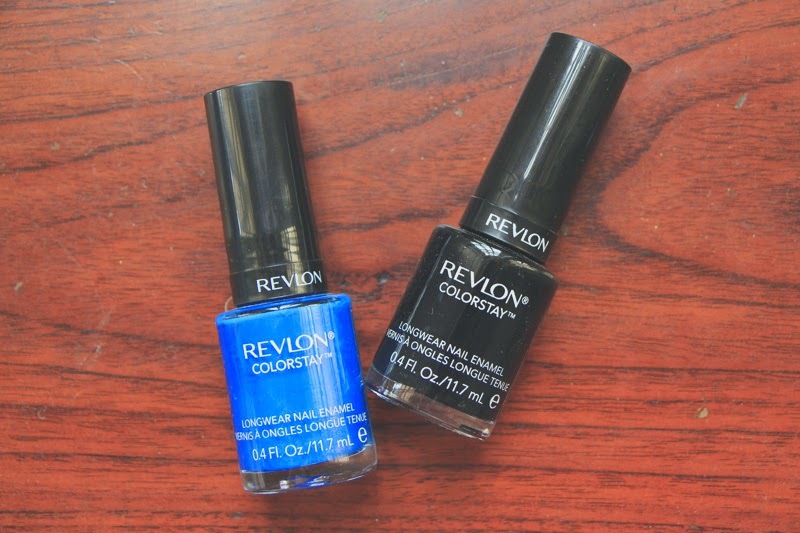 Start off with this Revlon Colorstay Longwear Nail Enamel in Indigo Night & Stilleto. Saw them on discount for buy one get one at Matahari Department Store so I had to get it! I love the formula and brush, love the bottle too better than their regular. With this deal I think it's getting fairly cheap. Also I bought the Revlon Colorburst Laquer Balm in shade 150 Enticing Desireable. I was originally wanted to have the matte balm, but since my office is making me dry like Sahara, I then prefer to get the laquer balm to cheat my way on having a pouty wet lips. On the same day, I then get the L'Oreal Color Riche in Dewy Beige with iridescent finish. With the laquer balm in hand I thought maybe I should get the matte formula in this, but there's no color like this in the matte family, so I grab this one which is very nice! 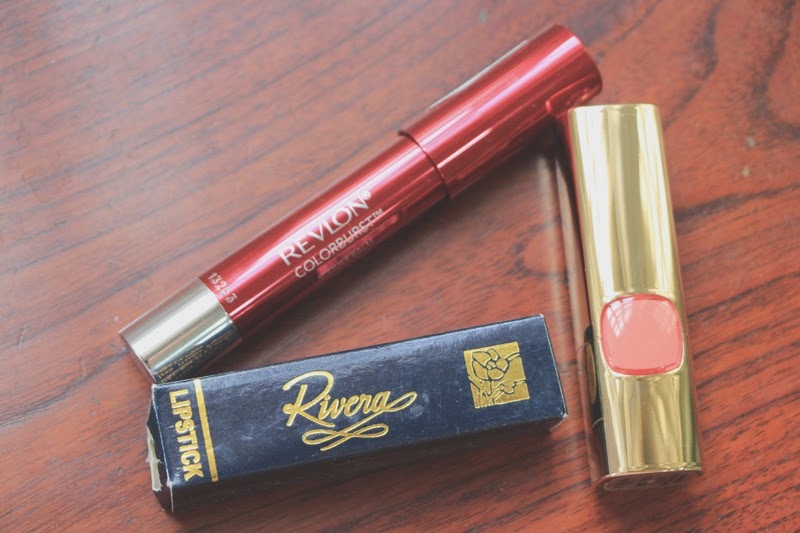 And the last lip product I got is the Rivera Lipstick in shade number 23 which is a bubble gummy pink. Got this one for free. Moving to the eyes. You know how I love my Maybelline Gel Eyeliner in Brown, but I don't have the same love for the black. 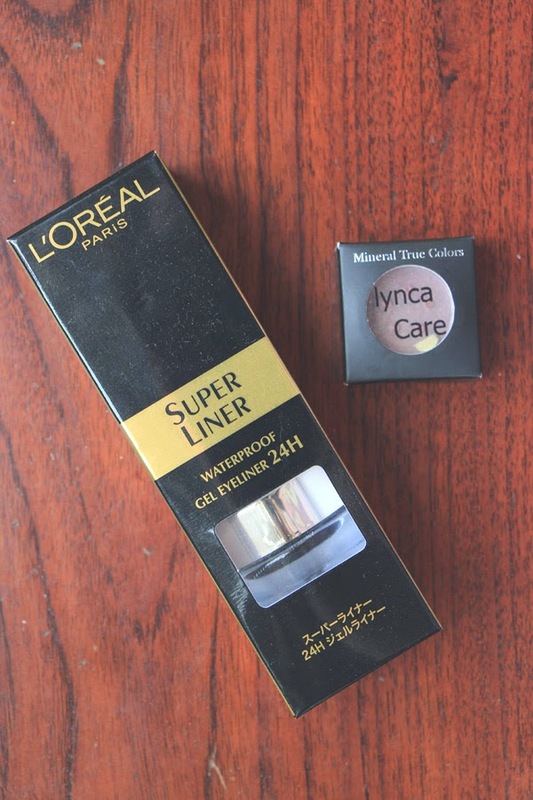 So I decided to try the L'Oreal Super Liner Waterproof Gel Eyeliner in Black to see how this will perform in my oily lid. I hope it to at least works better for it has a higher price than Maybelline. And then I get the lynca Care Pigment in Cool Mocha in Luxola's sale a while back ago. Never heard of this brand but I never had pigments before, so let's give it a try. 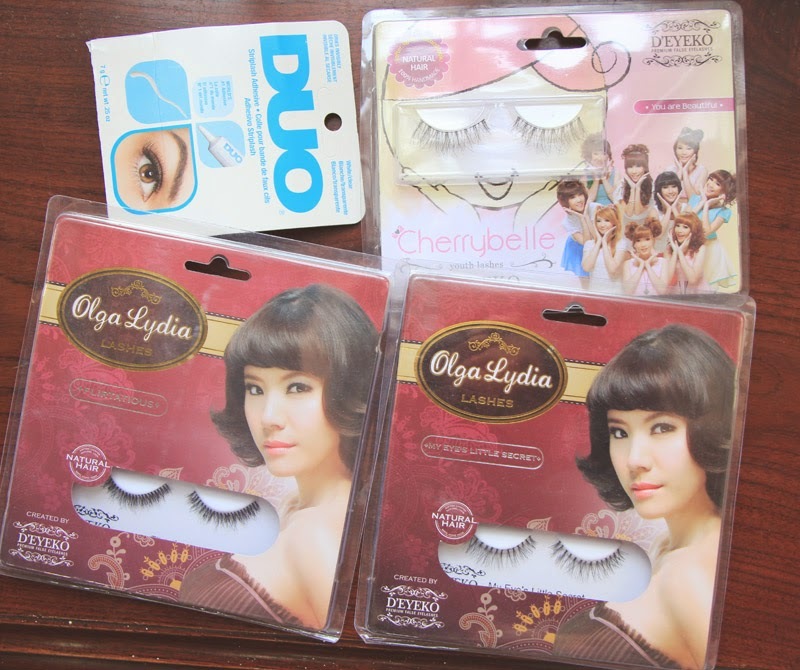 Still in the Luxola sale, I bought the Duo Lash Adhesive to try and I bought these D'Eyeko Lashes in Olga Lydia & Cherrybelle collection. I've tried the Olga Lydia one before and I fell in love with how natural it looks on me and it has a perfect lengths for my small eyes so I don't have to trim it. 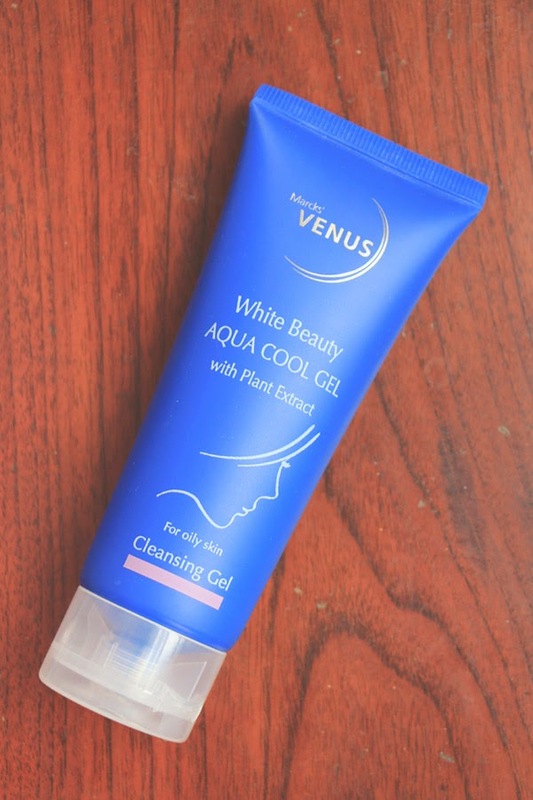 Now this Marcks Venus Cleansing Gel is a very new kind of product to me and really get my curiosity since the first time I read it from Female Daily's article. I never knew there is a face cleansing product in a gel form! I mean for facial foam, yes, I've seen it a thousand times, but a gel form in this type of face cleansing? I just need to try this! 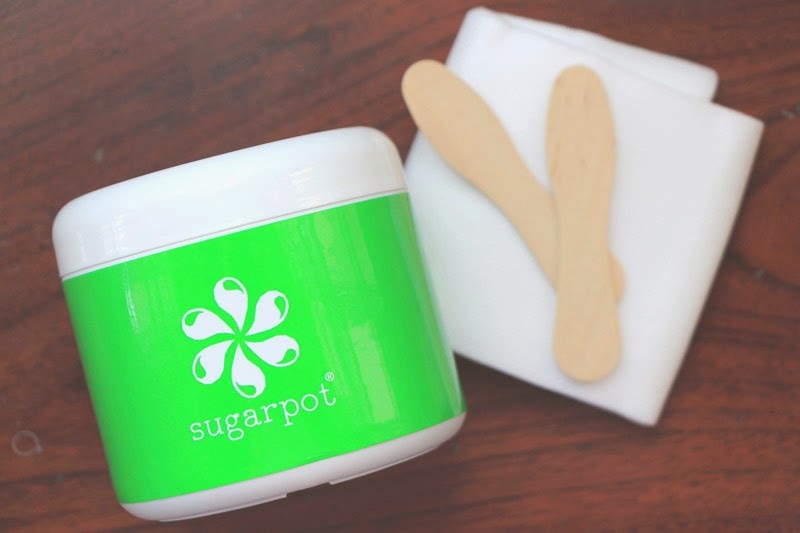 Last but not least, with all the review popping around from one blog to another, I finally made a decision to try this Sugarpot Matcha my self. I have a very thick and curly leg hair since junior high and since high school I shave my leg which is getting annoying on present days since I got so many in grown hair and black dots from the remaining hairs that my razor can't reach. I'm getting tired of seeing that. I hope this will work great on me! And that is it! My month haul! What's your haul this month? Any exciting new product to try? YEAY! Congrats on your new domain! Trus itu Falsies nya bagusan yg Olga Lydia ya daripada Cherrybelle? Kayaknya kalo yg Olga Lydia ga pernah liat di Guardian gitu deh tapi. Iya enaaaakkk.. wangi-wangi ocha tapi kaya madu jugaaa..
Kalo yg olga lydia kaya cocok banget buat harian gitu soalnya gak terlalu panjang, kalo yang cherry belle lebih panjang jadi kaya lebih buat yang lebih cetar gitu dey walaupun masih keliatan natural juga.. hihi..